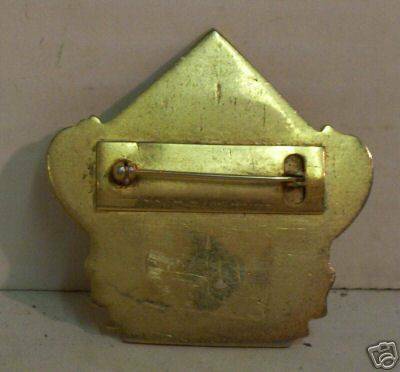 This one has an extremely LOW employee number, so is probably from the early 1920s or perhaps earlier. 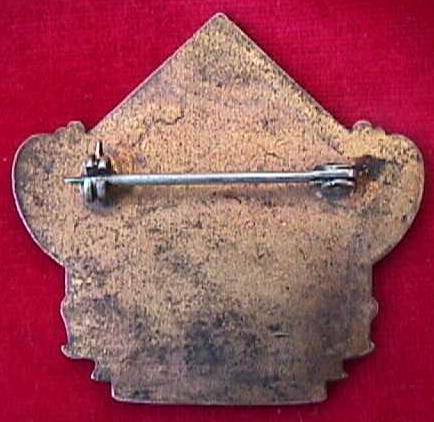 It has the clasp and hook arrangement on the back, similar to scan #6 below. 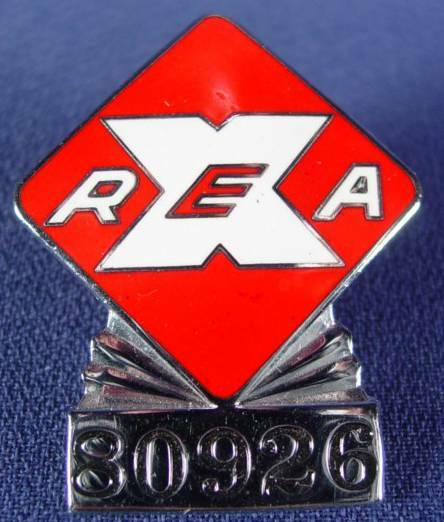 This badge is representative of the first REA badge issued in 1929. 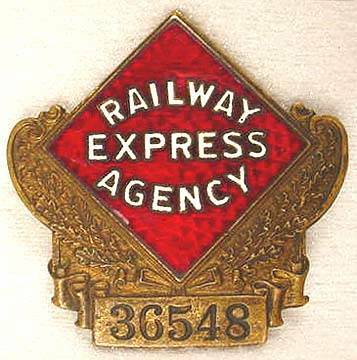 The words “Railway” and “Agency” are in black with the word “Express” in white. 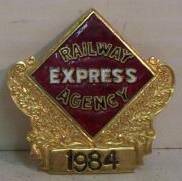 It was in use one year only. 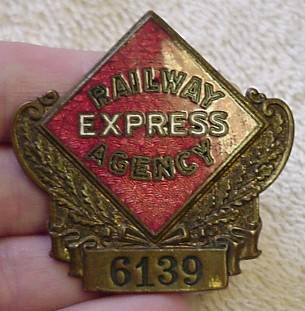 A fine example of the 1929 badge, with one of the lowest ID numbers I’ve ever seen on a REA badge. They must have had quite a few employees that first year, either new or transferring from Am. Ry. 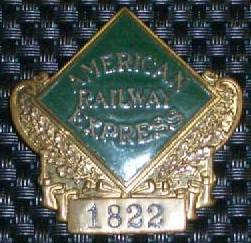 Exp., because I’ve seen a 1929-style badge on e-bay with an employee number in excess of 20,000 and the clasp style of scan #6 below!! Quite a high employee number on this sample.